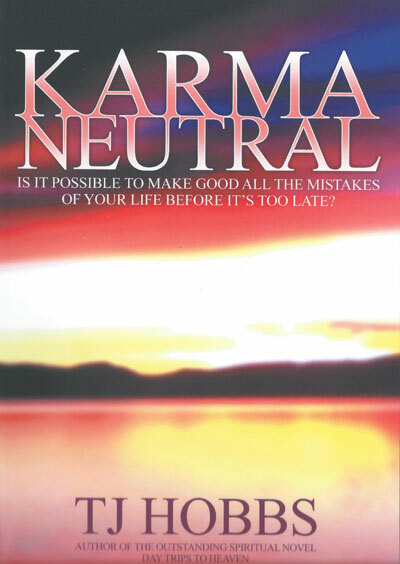 KARMA NEUTRAL is my second novel to be published by Local Legend publishers. We have all said things that should be left unsaid and not done things that needed to be done. Sometimes these things have hurt other people, either through our thoughtlessness or intention. Then, in moments of reflection, we begin to wish that we could make good our mistakes and wipe the slate clean. But that's not possible....is it? Karma is the "record" of all our thoughts and actions, both godd and bad. Many believe that we carry karma with us from one lifetime to the next and that it affects our material circumstances here and our spiritual development hereafter. Whether this is true or not, surely we all wish to end our lives at peace with those we have wronged and with our own consciences. James Wylie is a successful, self-made businessman who has given little thought to the effects of his relationships with others. But when he receives a devastating diagnosis, he begins to reassess his life and realises that he has to do something about it - fast. This powerful novel, full of surprises, is both spiritual adventure and love story, asking deeply important questions of every one of us. Please look up the reviews on Amazon and add your own. Also look at the Good reads Author page and ask me a question. Many thanks and I hope you enjoy the novel.